Acai berry is not a magic bullet for weight loss, but in combination with a regular exercise routine and a balanced diet you should certainly lose weight and improve your general health. The claims that acai berry antioxidants, phytosterols, amino and essential fatty acids help to improve body functioning to burn fat more efficiently are not supported by the research, but the points listed below will definitely boost your immune system and may contribute to weight loss. Acai Suppresses Appetite and Improves Digestion. The acai berries are high in fiber therefore they are beneficial for a healthy digestion and will keep you fuller for longer. Omega fatty acids found in the acai can help you to boost your metabolism. Omega fatty acids can be only obtained from the foods we eat and cannot be produced by the body. If you have reached the plateau phase (stopped losing weight), or simply want to boost your weight loss, consider adding some acai to your diet to get you over the hump. Increase Your Energy Levels & Stamina. Apart from being nutritious and a good source of carbohydrates, the high level of antioxidants in the acai is responsible for an instant increase in energy and stamina levels to keep your energy levels up through your daily workouts, or a much needed energy boost after long day at work. Acai Benefits for Weight loss. Acai fruit boosts the metabolism, suppresses appetite, increases your energy levels and stamina so you can exercise and build muscle tone to reach your dream body. The acai contains essential fatty acids such as omega-9, omega-6, oleic and linoleic acid, which can lower bad LDL cholesterol and retain healthy levels of good HDL cholesterol, therefore reducing the risk of heart disease and stroke. These fatty acids play an important role in absorption of fat soluble vitamins, essential for our good health such as A, E, D and K. Studies suggest that oleic acid might help to prevent against hypertension and cancer. Disease and Cancer Fighting Properties. The acai contains a powerful antioxidant called anthocyanins, which help to improve blood circulation, prevent blood clots and arthrosclerosis. Also, anthocyanins have shown an ability to improve vision and possess antiviral and antiallergenic properties. Some studies claims that acai inhibits carcinogenesis process (when the normal cell becomes cancerous) and cause the tumor cells to die. Other acai antioxidants may prevent eye related diseases such as macular degeneration and glaucoma. The berry works as an anti-viral and anti-bacterial agent due to the high content of antioxidants and essential fatty acids. This should increase your immunity system. Look and Feel Young Longer. 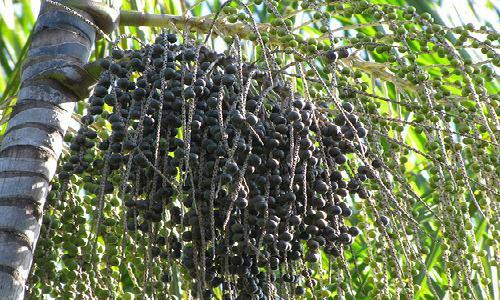 Because acai berries contain energy boosting properties and may have the ability to slow down the impact of ageing such as age lines, age related pigmentation, wrinkles, health of the hair, the majority of people using the fruit have reported that their skin has improved significantly and they feel full of energy. Antioxidants are thought to stop the damage in our body from free radicals and prevent our cells from deteriorating, and are found in fruits and vegetables. They are vitamins, minerals, phytonutrients etc. The ORAC table is produced by the US Department of Agriculture to show the antioxidant activity of food. In 2010 the table was updated to include the acai berry. To understand how high its antioxidant level is, consider red grapes. They have a ‘total orac’ score of 1837. The pomegranate has a ‘total orac’ score of 4479. Meanwhile the acai berry has a total orac score of 102700. In May 2012, the USDA removed the ORAC table, citing the reason that a measure and supposed benefit of a foods antioxidant level does not necessarily translate from the laboratory to humans. Back in 2006, the Journal of Agricultural and Food Chemistry published a paper ‘Antioxidant Capacity and other Bioactivities of the Freeze-Dried Amazonian Palm Berry’. It reported that the antioxidant levels of the acai were the highest of any food at that time it had measured. It also found in laboratory conditions that it could kill the majority of leukaemia cells. Also in 2006, the University of Florida reported that the acai berry had killed cultured cancer cells. However there is no acai cancer research on humans. Since 2006, we have found no further scientific research on this fruit, however, it is clear that antioxidants do provide many health benefits, including boosting our immune system. It is thought that we should eat 3000-5000 orac units per day. In America, it’s believed that most people only average no more than 1500 units. Just one product from Sambazon will provide at least 5000 orac units. About Acai Weight Loss: Contrary to a lot of claims on websites across the internet, there is no scientific evidence that consuming the acai berry will result in weight loss, but it will boost your antioxidant levels. If you are looking to buy the acai berry, don’t fall for the free trial offers, it can cost you more at the end! Look for “legit” acai products by Sambazon. 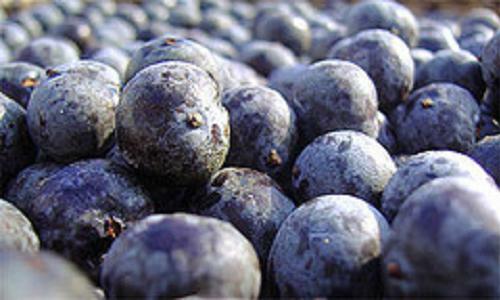 Sambazon is the world leader in production and export wild harvested acai berry products. Its products are USDA certified organic and Orthodox Union certified Kosher, collected and manufactured in a Fair-Trade supply chain.